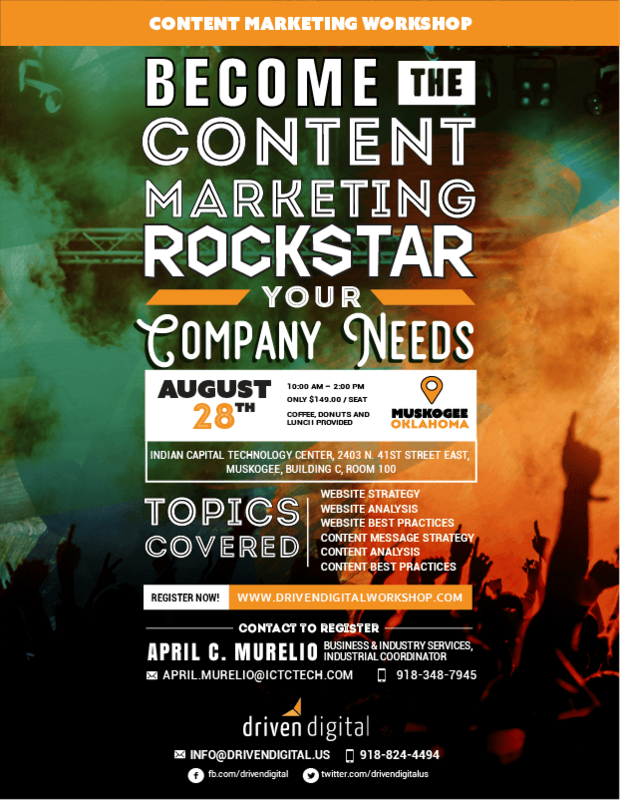 This comprehensive workshop will jumpstart your company’s content marketing program and set you on the path to attracting and capturing more leads, setting yourself apart as an industry authority and reaching your business goals. We’ll show you what your website needs to rock the web as well as the basics of search engine optimization (SEO) and content marketing. Then get ready to craft your company’s story into something consumable on social media. We’ll learn about the content marketer’s motto – Tell stories to earn trust and capture sales. Not tell about sales to earn trust. Bring your appetite for lean marketing, as we’ll take a deep dive into crafting a content schedule that embraces different platforms, social to web. Processes lead to progress!